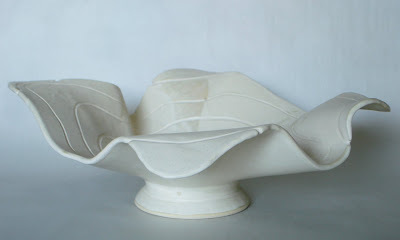 The Wind Bowl is by far our most popular wedding gift this year. It can be glazed in a variety of colors. 916 Liberty Street, downtown Fredericksburg, Virginia. 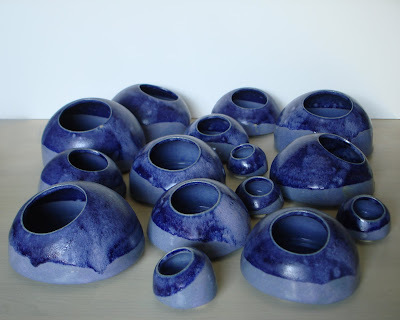 We are pleased to announce that as Scarlett's Website reaches into its third year, it has been updated and re-designed to keep up with her progressive ceramic work. 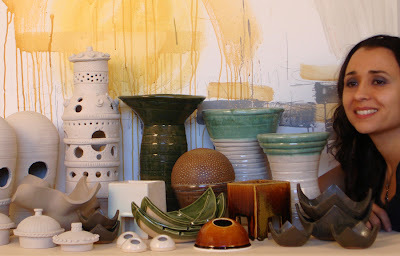 New pieces at scarlettwares.com include the Wind Bowl Series, Igloo Bud Vases, and her latest achievement-Ceramic Hanging Birdhouses. 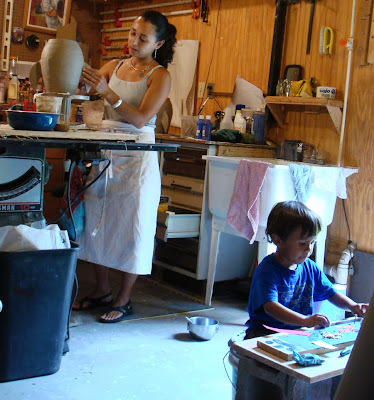 Scarlett also modified her site to include more information about the ceramic classes that she offers as well as birthday parties that she's been throwing at LibertyTown Arts Workshop. In the past months, Scarlett has been offering clay workshops for children who want to have a creative and fun way to celebrate their birthday with friends. 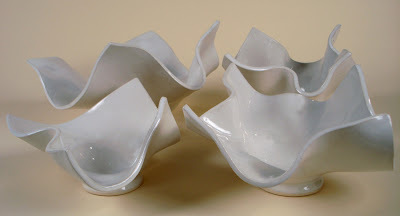 "Wind Bowls" by Scarlett Suhy-Pons come in three different sizes and can be viewed here. The Lamp Tower Series combines Scarlett's study in light, clay, and architectural form. 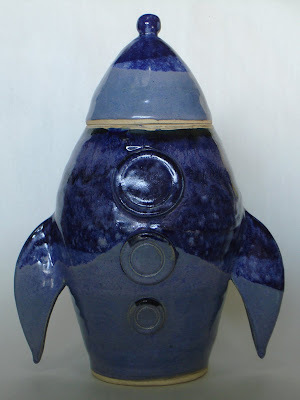 To learn more about Scarlett and her ceramics, Click Here. For more information about scarlettwares and the PONSHOP, Click Here. For those in the Fredericksburg, Virginia area (or passing through) be sure to pay us a visit at our studio in LibertyTown Arts Workshop.